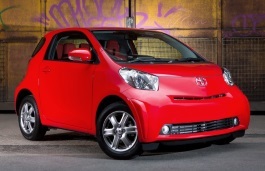 Correct Wheel Sizes, PCD, Offset, Rims and Tire specs for Toyota iQ series. Could you possibly tell me the weight of a standard IQ (59 plate) 15" wheel please. What is the tire size on a 2014 Totota ScionIQ? Instead of 175-60r-16 tire, are there other tire size for the IQ? Hi,Humberto Bermudez,You can try 185/60/16 and 165/60/16,All of these are compatible for your car. hi, is there a 14" wheel that will fit the iq? or a different rear caliper that works with 14" wheels? Hi,sidewaysteve,The standard wheel size for your car is 15'',So,If you fit 14'',It can also fit for(14'' rims must have same bolt pattern with iq).But it is not the best choice. thanks you for your reply, but do you know what 14" wheels fit the iq? ie do 14" yaris wheels fit over the iq rear brakes? i know that aygo wheels will not. pcd is the same on them all so not a problem and et is 45.